I know, I know, the Rescue Ranger ride was doomed from the start because the turns didn’t bank. But, the tracks are all still there without any signs of life. Would it really be that hard to bring back the People Mover? Probably not. Or, better yet, a brand new dark ride that uses that track and has enclosed walls around the parts of the track that are already outside. It would not be a particularly thrilling ride, I am sure, but with that track (and most of it being inside) it seems like you could easily drop in something pretty cool. Alternate idea: just bring back the original People Mover ride so that people have a place to sit down, rest their feet, take a quick nap, etc., on the relaxing ten minute ride. Give it a little refurbishment love like you did Big Thunder Mountain. I admit Michael Jackson was (is?) an icon. 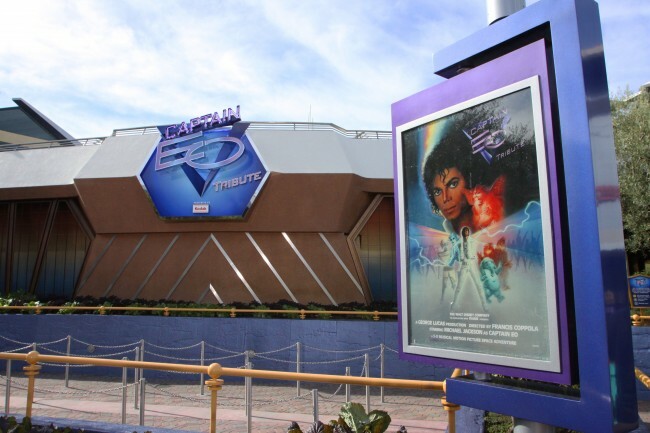 And I guess having Captain EO play in lieu of having an empty theater is OK but seriously this film is laughably bad. For whatever it was in the 80s, it is not that anymore. Let’s retire it with some dignity and then totally remodel the theater and turn it into a fun table service restaurant with great space theming (on par with Blue Bayou). I’m thinking a really dark restaurant, where the floor is like a planet’s surface, and where you can see the stars and planets lit up on the ceiling, and mini space ships pass overhead (you can hear them, too). Booths would be built into crater shaped areas and wait staff would be in space suits, among other things. Alternate idea: If we can’t totally remodel, then literally any film would be better here. Pick a fun 20 minute clip from “Frozen” and do “Olaf presents Frozen”, and then play the clip, add some special effects (wind blowing, etc.) and have Olaf appear at the end to sign autographs. I am a little bit more perplexed with what to do with this one, though I am sure the legendary Disney Imagineering team could come up with something if they really put their heads together. For me, it’s a big lagoon but doesn’t actually take up that much space. So how do you reinvigorate this ride? Perhaps one way to do it would be to replace the big submarines with smaller pods that 6-10 people get into (instead of, like, 60) and take them through a slightly more thrilling underwater adventure. Maybe the pod could even move and shake a bit while underwater? This would of course mean the Finding Nemo theme goes away, but since the theming was kind of light to begin with, I think this could work. 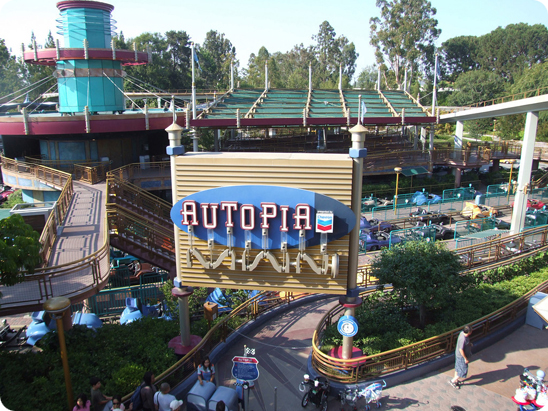 The last time I road Autopia I remember three things: the line is too long, the cars fumes made me a little dizzy, and inevitably the cars break down leaving you stranded in the California heat while you wait for a car to be fixed. It’s a sign of the times for Autopia which despite being in Tomorrowland is about as ancient, at this point, as it gets in terms of automobile technology. I say it’s time Disney partners with Tesla to bring in some really cool electric mini cars. That gets rid of the fumes and break down issues, makes the ride much quieter, and incorporates a new technology that more nicely fits in with the Tomorrowland theme. Lastly, find a better way to make those cars steer and a better way to keep them on track. The concrete barrier in the middle and steering control (or lack thereof) just isn’t cutting it anymore, either. Have Tesla build some kind of magnetic barrier control into those sweet new Tesla Autopia mini-cars. Alternate idea: Turn it into a faster ride on a track, similar to Radiator Springs Racers in California Adventure. Ok, so maybe I am a little biased because I am not obsessed with Marvel like everyone else, but the last time I visited the Innoventions pavilion it was pretty disappointing. Some random Marvel exhibits and the house of the future intertwined. In general, it seems like something you’d find in EPCOT where space is plentiful, but not at Disneyland where space is, well, not plentiful. 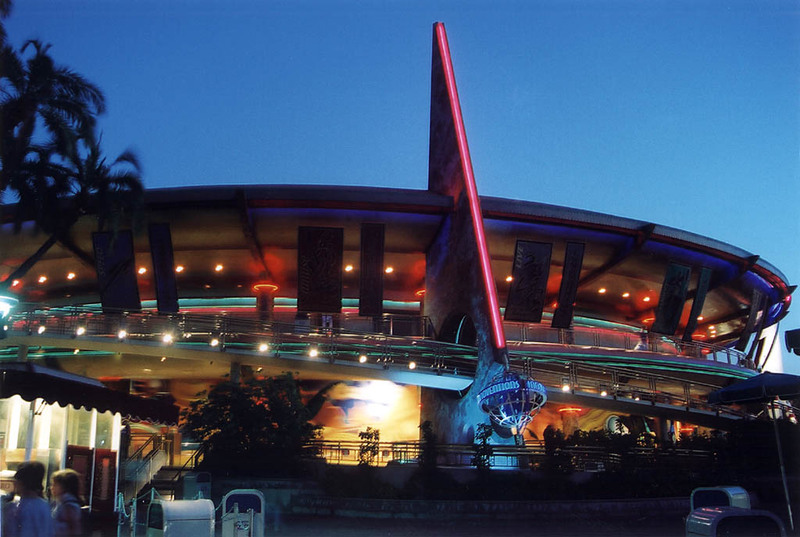 I’d love to see Innoventions basically gutted and turned into a new dark ride. The pavilion itself is pretty big, so you could easily have a 2-3 story dark ride housed within. The advantage here, too, is that a new dark ride would take some of the weight (“wait”, get it?) off of Space Mountain‘s shoulders and I think because of the height of this building, a themed dark ride for “Up” may work nicely here. Launch them up to the top floor to start the ride, then slowly circle them down to the bottom floor again. Well, those are the five major changes I think would really reinvigorate Disneyland Resort’s Tomorrowland, and also make it feel more ‘future’ and less ‘past’. What do you think of these ideas? Any you’d like to add? Comment!